Are you tired of going store to store looking for the perfect gift? Well your searching is over. 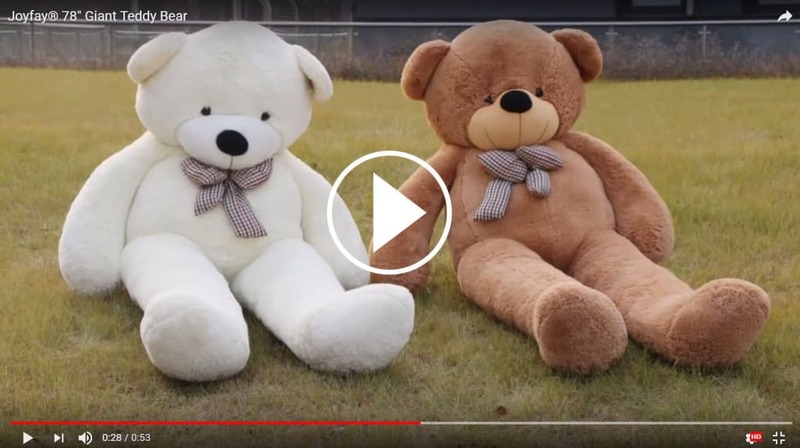 This Enormous Plush Teddy Bear Toy is certain to warm anyone’s heart. It has a lovable brown face and removable bowtie. This gentle giant is the perfect size for a lying next to or playing on. It is also a great home décor accent for that special teddy bear lover. Whatever occasion, this is the ideal gift for a girl or boy, or a child or an adult. Being a Joyfay® plush stuffed toy, it features high-quality materials, superior craftsmanship, and irresistible good looks. Not only that, our plush toys are made of 100% green materials; using Polypropylene cotton (made from recycled plastics) for its stuffing. The plush outer material is easy cleaning; simply wipe with cloth and warm water. Surprise that special someone in your life with this giant, fun-loving gift.